You may not be aware that we here at Bryant Park manage public space in other parts of the city. Our sister district, the 34th Street Partnership, which covers the area between Park and 10th Avenues and 31st and 35th Streets, is one such area. Bryant Park has had an exciting couple of weeks, and the same is true for the 34th Street Partnership as well! 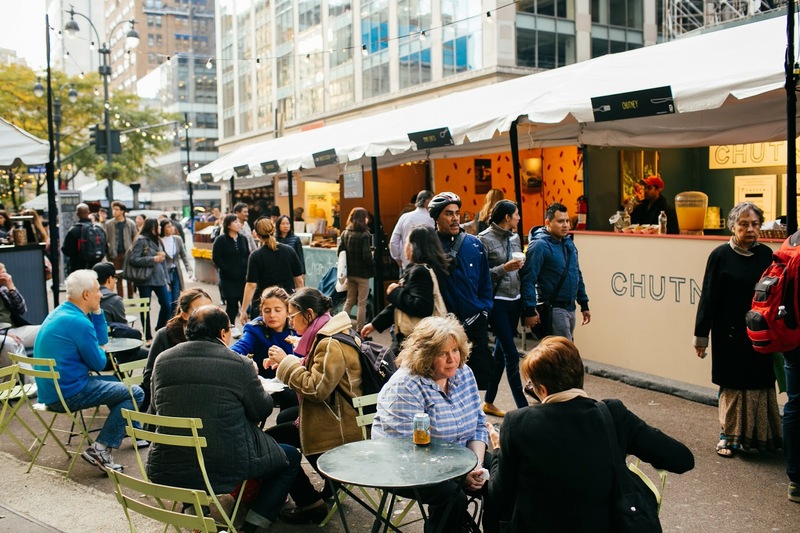 Greeley Square, located between 6th Avenue and Broadway and between 32nd and 33rd Streets, and the pedestrian plaza immediately to its north, are home to a new outdoor pop-up food festival called Broadway Bites. Opened just last week in partnership with UrbanSpace, Broadway Bites is already racking up buzz through word-of-mouth, lunch blogs, and newspaper reviews. 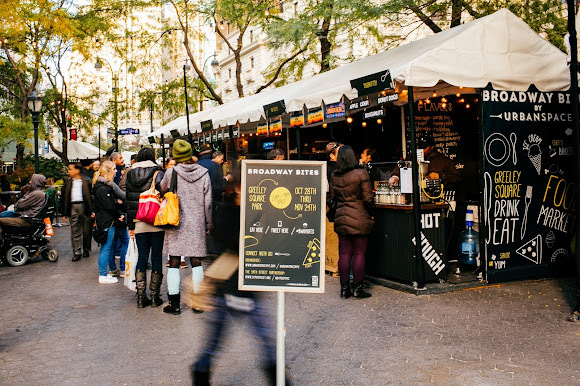 Open daily from 11am to 9pm through November 24, Broadway Bites brings food kiosks from 30 vendors to the busy shopping area known as Herald Square. The offerings range from classic and not-so-classic Neapolitan pizzas at Roberta's, to Turkish street food at Mmm Enfes and vegetarian, gluten-free fare at Two Tablespoons. 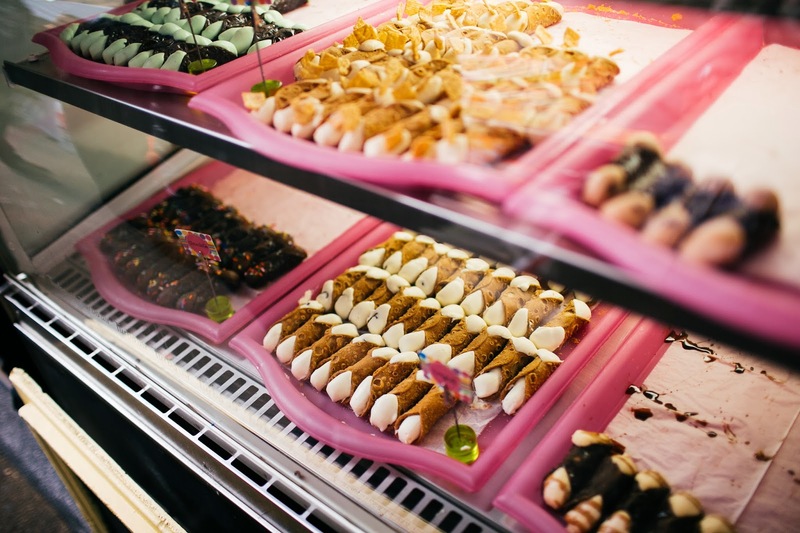 There's something for everyone: take a look at the full list of vendors. Broadway Bites is perfect for lunch, an after-work drink...or dessert! From the Stuffed Cannoli kiosk. Not only does Broadway Bites expand lunch options in the area, but the kiosks in the southern part of Broadway Bites (in Greeley Square itself) also serve beer and wine, making Broadway Bites a brand-new option for those looking for a quick after-work drink and snack. There is plenty of seating so please feel free to linger! If the offerings seem overwhelming, consider purchasing a Broadway Bites tasting tour from Gilt City. For just $55, you and a friend can sample donuts, tacos, sliders, stuffed bagels, and craft beers. We can't think of a more pleasant way to spend a crisp fall afternoon! how much is the ice skating rate? and what stop does one get off on, to get easy access to the Rink? You can take the B, D, F, or M train to 42nd Street/Bryant Park, or the 7 to 5th Avenue for the closest access via subway.